Home » FAQ » Can Energy Efficient Windows Pay for Themselves? You may have heard the statement before, energy efficient windows pay for themselves. We all know energy efficient windows can save you money on your energy bill. But can investing in replacement windows really save you that much energy cost, where you actually have a return on your investment- or at least break even? Let’s break it down with real numbers and find out if energy efficient windows can really pay for themselves. Say you have 10 single pane windows and you upgrade to double-pane windows with an Energy Star U-Factor rating of .28. The official savings statement released by Energy Star states that you will save an average of $478 per year or an average of $40 per month – in the Atlanta area. The average investment you will make by replacing 10 windows with our 3000 series energy star windows from The Window Source of Atlanta is around $3300. This does not include options that you may need; such as, capping, grid patterns, or upgrading to different color options. But if we are just talking energy investment vs energy loss – it’s a start. Now, you have plenty of options when it comes to paying for the windows- finance interests free, equal monthly payments with a low interest rate, or pay in full with cash. You’ve got great credit- why would you pay interest? Maybe you want low monthly payments and your willing to pay a little interest to have the freedom to pay off the loan when you feel the time is right. Let’s say you choose The Window Source if Atlanta’s financing option where you are willing to pay an interest rate of 3.9% and make equal monthly payments until you have the windows paid off. Equal monthly payments meaning 1.75% of the total $3300, each month. Pros- Your monthly investment each month would be $57.75 vs. your monthly energy savings of $40 per month. Your out of pocket cost is $17.75 until your windows are paid off. Not bad- you could think of this as paying only under $20 a month for new energy star windows if your taking in account the savings on your energy cost. Cons- Your paying an interest rate of 3.9% which you will pay until the windows are paid off. In short- if you only pay the minimum required monthly payment it will take right at 5 years to pay off your windows. You’ve got great credit- Your going at this interest free. You choose The Window Source of Atlanta’s 18 months interest free financing option. Pros- your paying interest free and still saving on your energy cost. Your monthly payment is $183.30. Your monthly investment each month would be $183.30 vs. your monthly energy savings of $40 per month. If you account for the energy savings – your out of pocket cost is $143. Cons- It’s going to take 18 months to start seeing the savings without a payment. Payment aren’t for you and you have the cash ready to invest in energy efficient windows. You pay $3300 for your 10 3000 series energy star certified windows. Pros- You’ve paid upfront and your saving $40 a month on your energy bills. 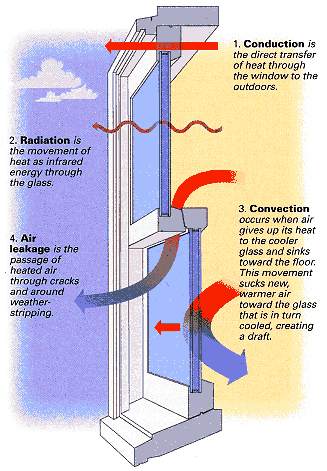 Cons- It will take about 7 years to make up for the $3300 investment you made in your windows. Now let’s take into account that you may have paid more than $3300 for 10 energy efficient windows. You may need exterior window capping or bronze colored windows which will increase the total investment cost. Also, this cost analysis is only based on single pane windows, upgraded to energy efficient windows. If you already have double-pane windows that are being replaced you can ‘throw this out the window’. Upgrading from double pane or new construction windows to energy efficient windows will still help with saving on energy cost- but only about $60 per year. You may also live in a different area of the country where energy savings are not as ample. So- can energy efficient windows really pay for themselves? Yes and no. The numbers don’t lie. In a perfect world, over time you could recoup the money you invest in energy efficient windows.